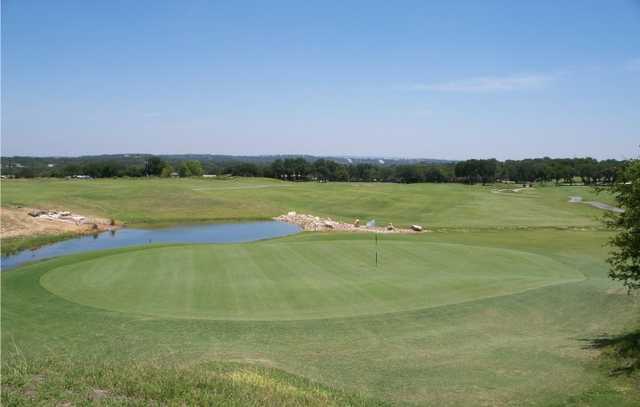 The Course at the Club at Rebecca Creek is located just 30 minutes north of San Antonio in the heart of Texas Hill Country. 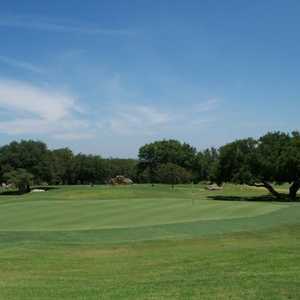 The setting is ideal for a round of golf with gently rolling hills and mature oak trees lining the fairways. 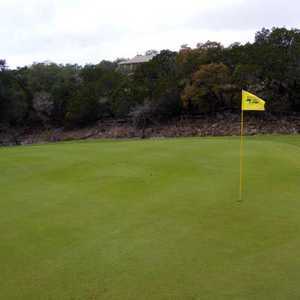 The course has had a few different monikers over the years, beginning with Rebecca Creek Golf Course and until 2013 it was known as the Hawk at Rebecca Creek. Before it took on its current form, there were major green and fairway improvements. 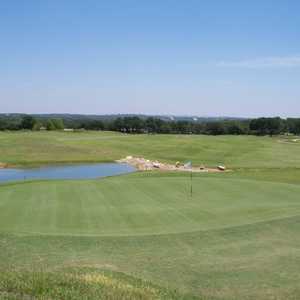 Though there have been different names, the golf course has maintained its playability for golfers of all skill levels. The layout stretches to 7,074 yards from the back tees. It's a lengthy course but in actuality it's less intimidating than what the scorecard indicates. The course in general is a terrible course and no one should ever be subjected to such a rip-off. Avoid this place like the plague. It’s best features include (but are not limited to) it’s fairways - which seem to be some sort of tile or concrete flooring, a complete absence of sand traps and/or water hazards, gorgeous uneven, patchy, and brown tee boxes, beautiful greens that are spray painted a brilliant golf-course-grass-green, and when you put the ball and it rolls across the green like a bumpy granite kitchen counter top. By now you may be thinking, “Phew! I need a drink!” So be relieved! You can get one there if you get thirsty, there’s 2 water coolers along the way (but keep in mind they never change the water and it is likely days old - honestly someone should call the Texas health department). If that isn’t enough to sign you up right away, the course is really short! Any average golfer should be able to nearly drive every green on every par 4 (minus 1). If you’re just starting out or learning, this is a great course, but only if you are rich and can afford to throw $30-40 in the trash each outing. No wonder the game of Golf struggles for new players. 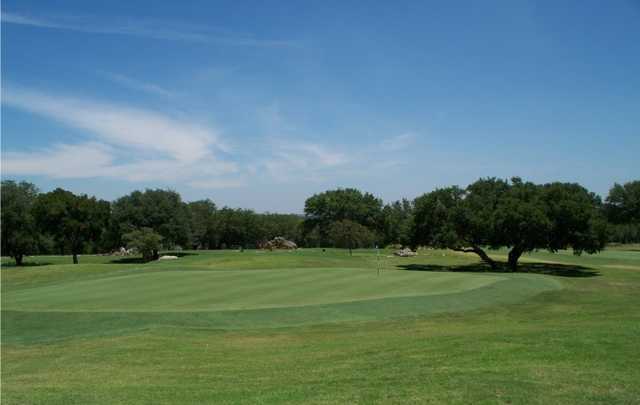 This course is by every definition a beginner’s course and it’s close to being in the worst shape of all the courses in the greater San Antonio area and it should be priced accordingly. Instead they are charging premium prices as if they are some sort of premier course. 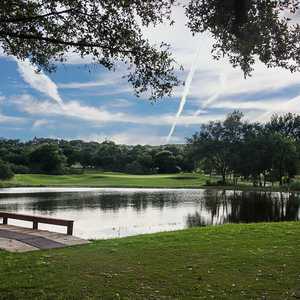 In fact, they charge just as much if not more than Canyon Springs - an actual premier course, that’s actually within close proximity to San Antonio (and to anyone reading this, just stop now save yourself the $ and time and book a tee time there instead). One would think Rebecca Creek would recognize that for their course, the prices are eye-gouging. That is most likely why I have never seen anyone else on the course at any time I’ve ever been. One would think they would consider cutting deals on slow days for experienced guys who want to scoot around the course for a fair price that matches both a tight budget and the awful course condition. One would think that it would be common business sense to cut these deals so they could make some income instead of earning $0.00. A fair price for this course would be $20-$25 primetime and $15 for twighlight. However instead of doing any of the aforementioned things, they continue to price gouge on “wide-open” days and deny any request for a discount. Total letdown - if they end up making changes maybe my review will change to reflect it, but everything I have said is true as of Feb 2019! For the price this is a great course to play. Fun layout, some easy holes, some challenging holes. Since new ownership came in a couple years ago they have done ALOT to fix this course up. Good greens, they have a water system now so even in the dry summer it stays in good shape. Pace of play is excellent. I have never played a round longer than 4 hours. I recommend this course!